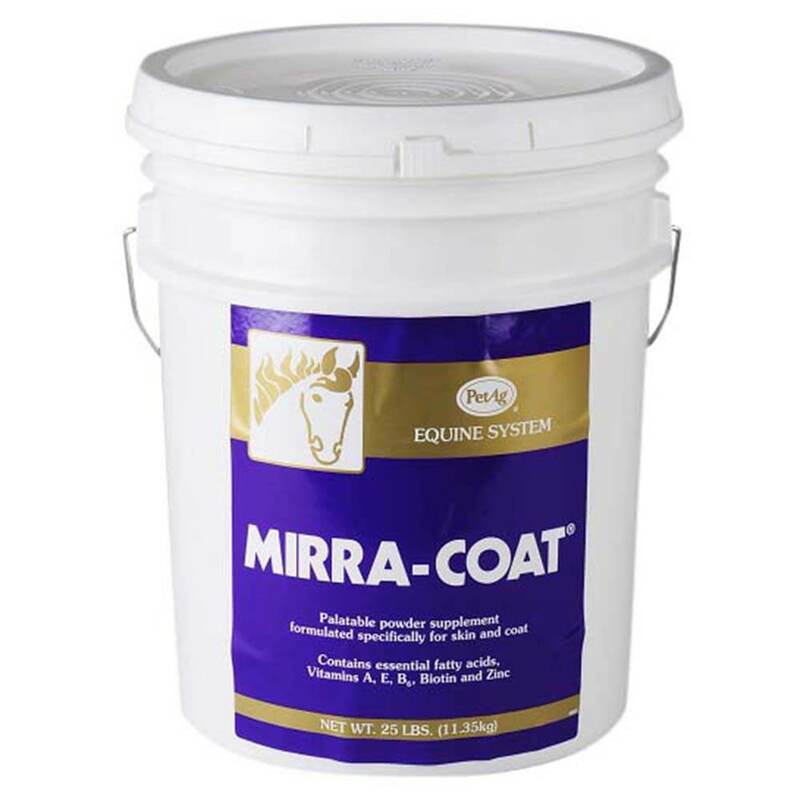 Mirra-Coat Equine Powder is a nutritional supplement formulated specifically to develop and maintain a healthy skin and hair coat. Scoop enclosed = 4 tablespoons (30 grams) Horses: for the first two weeks mix 2 scoops of Mirra-Coat into the horse’s daily ration. After two weeks, reduce to 1 scoop daily. Dogs: Mix into the dog’s regular ration daily. Feed ¼ scoop (1 tbs) per 20 lbs. body weight.